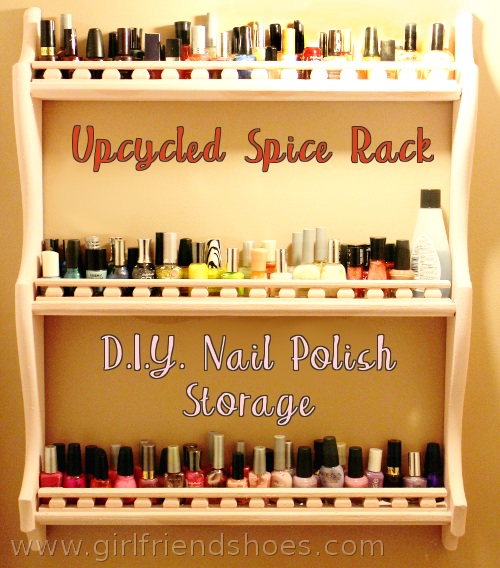 I’ve seen many cool nail polish organization and storage ideas on Pinterest and was just about to attempt this D.I.Y. 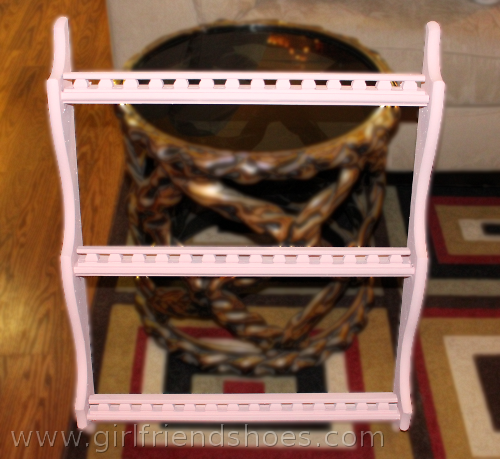 nail polish shelf�when I came across this awesome old spice rack for 5 bucks. 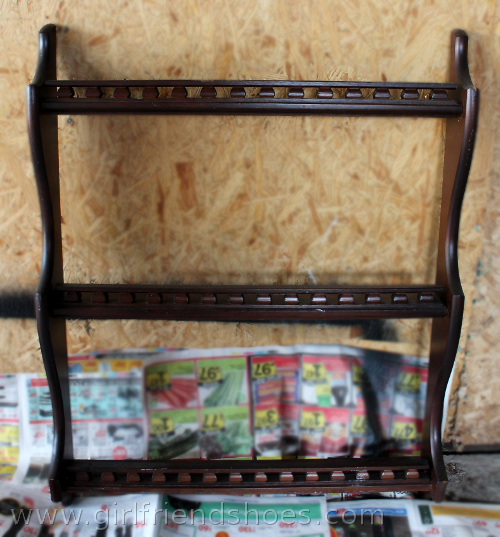 I started to spray paint it black but stopped and changed my mind. I wanted to use my favorite new toy, chalk paint. What can I say, I’m a bit obsessed with pink. I had been storing my nail polish in a clear tote that kept falling off the shelf because it was overflowing with nail polishes. I was in dire need of a storage solution. This also gave me a chance to go through them all and weed out the super old ones. Now I have them all nicely lined up on this pretty up cycled spice rack turned nail polish storage shelf and hung on my bathroom wall. Turned out to be exactly the perfect size although not a single other bottle of nail polish will fit. What a great way to keep your nail polish organized, I’m loving my new organized self. Ok �I’m exaggerating. I’m hardly organized but it’s a�nice feeling of accomplishment in the organization area of life. If only my clothes could go this easily onto a rack. Sigh. How to you keep your nail or beauty products organized?